Our latest tour led us to the northernmost reaches of Oswego County. On the edge of the Tug Hill plateau, outdoor adventure-seekers will discover the Winona State Forest. A special thanks to Rose Driscoll, one of the original board members of the Winona Forest Recreation Association (WFRA), as well as to Claire and Mary Shadduck and Dave Cronk, our trail guide and groomer extraordinaire. 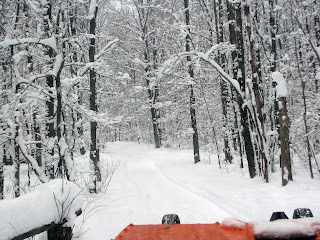 The all-volunteer group maintains approximately 70 miles of motorized and non-motorized trails throughout the forest. This area covers more than 9,000 acres in Oswego and Jefferson counties, providing more than enough room to accommodate outdoor enthusiasts of all interests in every season. Favorite activities include: hiking, biking, snowmobiling, snowshoeing, cross-country skiing, mushing (dog sledding), birding, horseback-riding, hunting, fishing, and ATV riding. 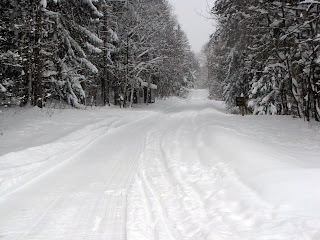 While Winona State Forest may be a bit of a hidden treasure locally, it is well-known internationally as a popular training and racing ground for sled dogs. It also hosts an Empire State Games Qualifier for the New York State Ski Racing Association. Year-round, there is much work to be done in order to keep this area operational for all users. 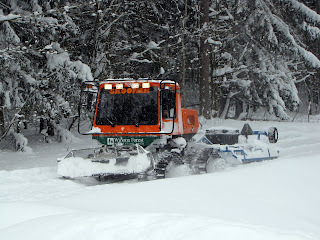 The winter season requires two-person groom teams to create and maintain a good snow base. Throughout the remainder of the year, fallen trees are removed, branches are trimmed and trails are cut back. Much of these tasks are accomplished through the hard work and devotion of WFRA volunteers and local civic groups. Many groves throughout Winona State Forest were planted by the Civilian Conservation Corps (CCC). The CCC was the brainchild of President Franklin D. Roosevelt in an effort to revitalize the nationÃ¢â‚¬â„¢s economy during the Great Depression. Thousands of unemployed young men were recruited to work on improving millions of acres of federal and state lands throughout the country. The CCC camps stimulated local economies; improved forest activity through reforestation, flood control and fire protection; and developed forest recreation by building campgrounds in many areas. Between 1933 and 1941, more than 3 million men served in the corps and more than 3 billion trees were planted on municipal lands and parks. The CCC has given us the tenets of modern conservation and a legacy of natural resources. Claire Shadduck and Dave Cronk groom a trail at Winona State Forest. 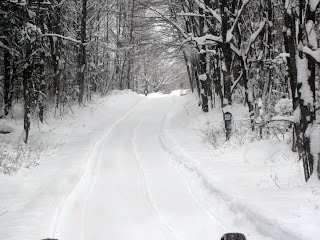 Volunteers have been involved in organizing events and grooming trails at Winona State Forest for more than 30 years. 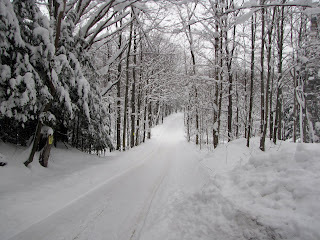 Originally the Tug Hill Ski Club, the WFRA organized the Tug Hill Tour-a-thon, an annual marathon race to promote recreational cross-country skiing in the area. Since then, the group has re-organized to include all user groups of the forest. The WFRA is an active, not-for-profit volunteer organization supported through memberships and donations. Additional fundraising helps with year-round trail maintenance. 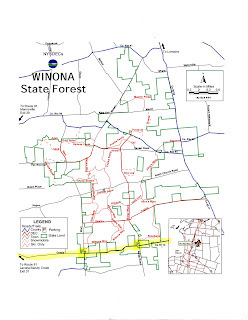 For more information about the WFRA, upcoming events or trail reports, visit the groupÃ¢â‚¬â„¢s Web site at: http://www.winonaforest.com/. 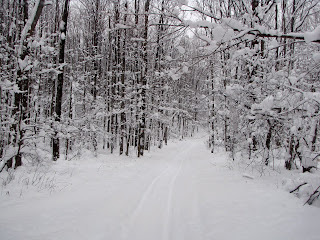 DonÃ¢â‚¬â„¢t miss the upcoming Winona Forest Winterfest & Try-It Ski Race! 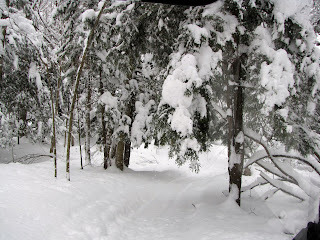 Explore the snow-covered forest with a cross-country ski race, a dog sled ride and a snowshoe walk. Try the thrilling excitement of skijoring and enjoy demonstrations by a chainsaw wood-carving artist and a snow sculptor. There will also be food, raffles, a silent auction and a groomer display. 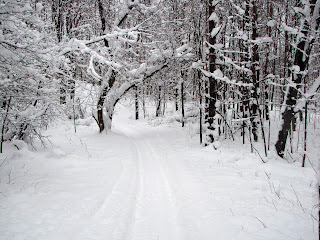 On Saturday, January 16, the festival begins at 9 a.m. and the Try-It Cross-Country Ski Race starts at 10:30 a.m. Admission is free for the festival and $40 to compete in the race. Parking is available on the north side of Center Road at the Wart Road and Bargy Road intersections. For event details, visit the WFRA Web site. If you would like more information about the great outdoors and events in Oswego County, please visit our Web site at http://www.visitoswegocounty.com/.